The Great British BBQ is a spiritual experience. Come the first day of summer, rain or shine, there is an eager Dad somewhere with his top off - even though it’s only 10 degrees outside - firing up the barbie and wrestling with a packet of cumberlands. However whilst 3 out of 4 households in the UK own a barbecue, Weber UK’s YouTube channel held a survey last year which saw 48% of Britons admit they were shocking behind the al fresco grill, with many never really straying from the ‘traditional’ mix of burgers, sausages and steaks. So the question is: How can we reclaim the lost art of barbecuing and how do we avoid being one of the 46% who fell victim to food poisoning last year? 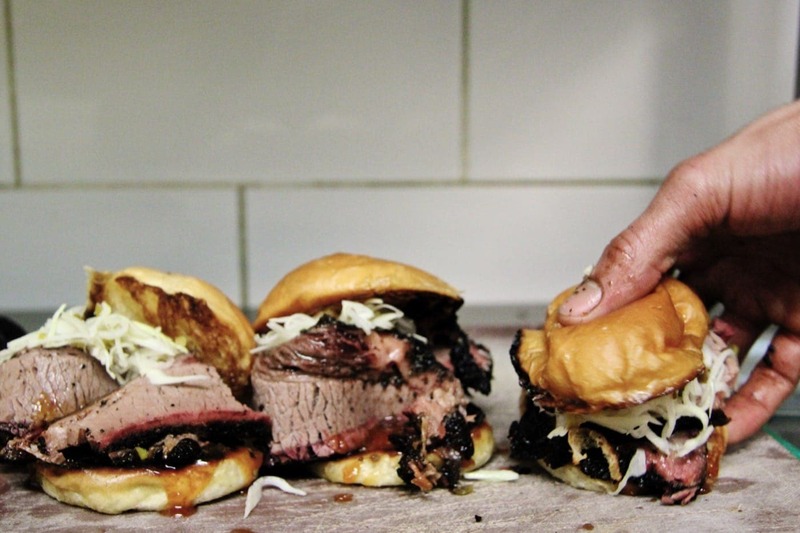 Where can we get a truly spectacular barbecue experience in 2019 that pushes boundaries and makes our taste buds sing? The answer is: Cue Point. Food baby of Director Mursal Saiq and Head Chef Joshua Moroney, Cue Point’s mission is to create ‘barbecue for the many’. Whilst much of the nation is struggling to get the coals alight during the summer months, we’ve forgotten what barbecued food is all about. It isn’t just limited to British steak, bangers and the seemingly elusive burger with a juicy pink middle. It’s an age-old technique of ‘sticks set upon posts’ deriving from the Spanish barbacoa. Not British at all. But that’s the beauty of the barbecue; using this framework of sticks set upon posts, cultures from across the globe can apply their traditional flavour profiles to this fiery, theatrical way of cooking. Cue Point embrace this idea wholeheartedly. 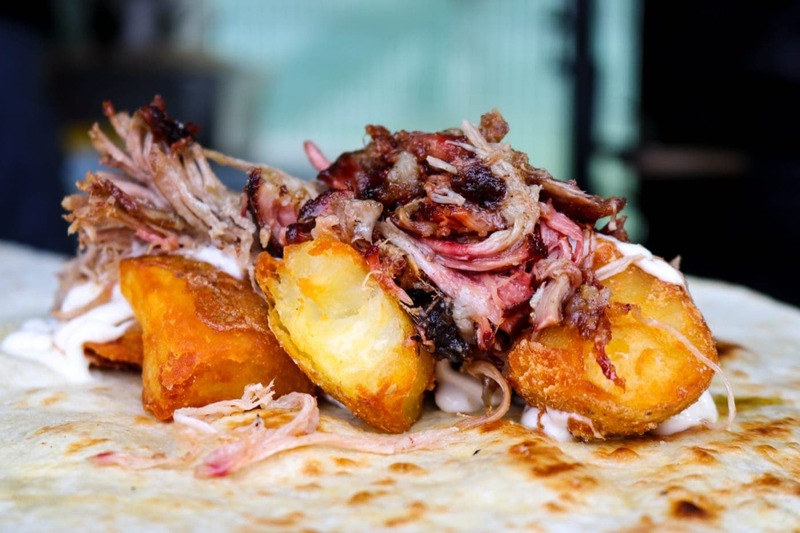 Infusing and integrating techniques and flavours from around the world, they want to create the first all-inclusive barbecue company that the UK has seen and revolutionise the way we think of our much-loved BBQ in Britain. This is as much to do with life experience, love and heritage as it is do with food for Cue Point. Before moving to Hackney, Mursal was born and raised in Kabul. Her heritage has played a massive part in her own personal and professional development, and with Cue Point she hopes to change western views of Muslim and Halal produce through the sharing of food with people of differing backgrounds. This killer combo of a British/Guyanese Head Chef in Josh and an Afghan director means that diversity plays a huge part in the development of their menus. 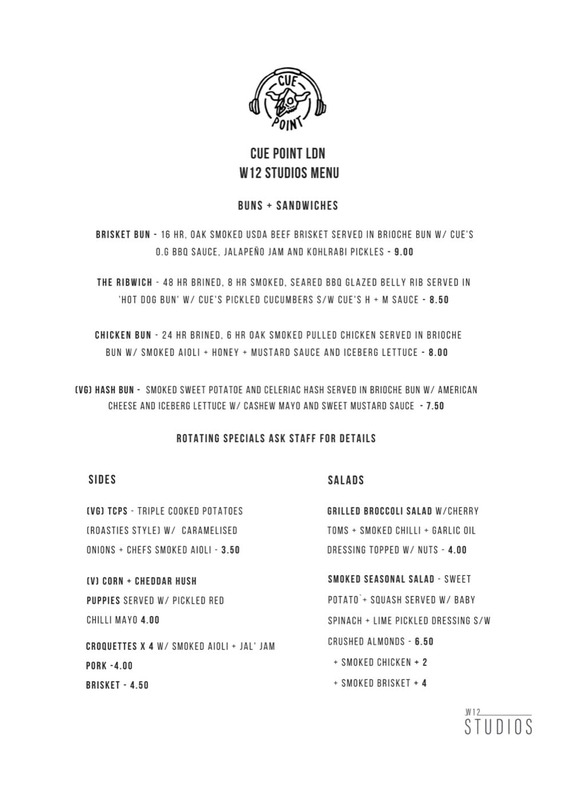 They’re all about inclusivity and feel that no one should be left out despite their dietary requirements (whether you be vegan or gluten free), Muslim, Jewish or of any other faith or walk of life! When using the term food baby in regard to what Cue Point means to Mursal and Josh, it really is no exaggeration. The way Josh looks after the meat truly draws parallels with nursing a child. Their star of the show, a 16-hour oak smoked beef brisket, requires a lot of TLC with regular turning, wrapping and smoking. We went down to visit Mursal and Josh on-site this week and Mursal described how the pair would often grab their sleeping bags to spend the night beside their ‘baby’: a custom-made BM2 reverse flow, wood-fired barbecuing beast. It’s no wonder then that the dedicated care, attention and nurturing Cue Point gives to their meat is the parenting-child product equivalent of an Oxbridge-educated, eco-conscious, multilingual socialite with fantastic morals living it large in the City. 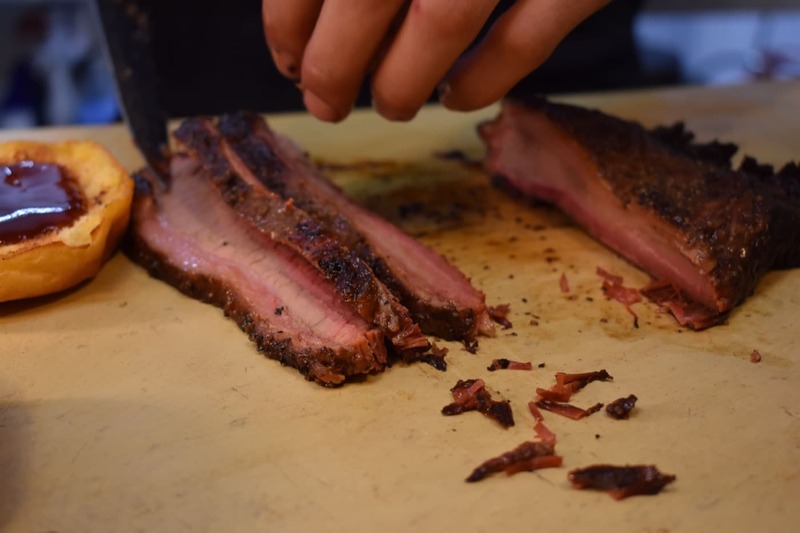 Barbecuing for Cue Point is about respecting their meats and produce. They purchase their meat in the most direct way possible to limit the production methods, wastage and maintain quality control and they also butcher in-house. 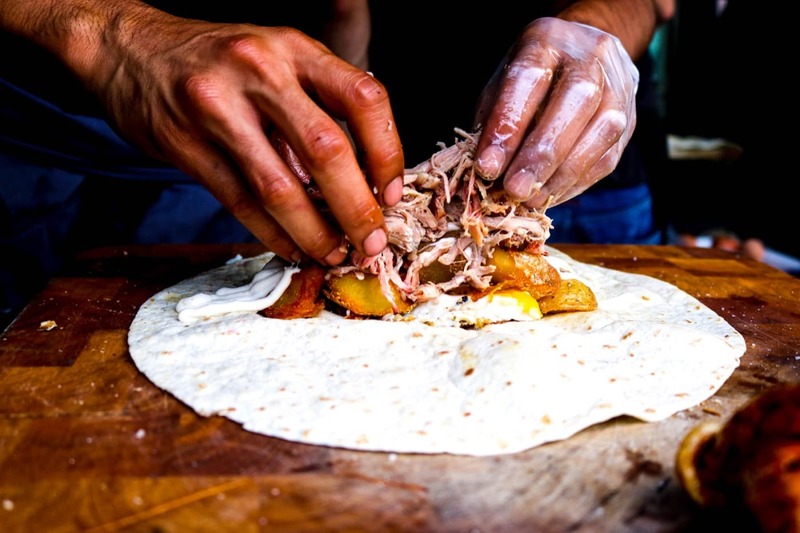 Cue Point pride themselves in creating as much as possible themselves - for example garlic, chilli, onion powders, sauces, rubs, gravies, jams, liquors, pickles and even making use of the meat cuts that would usually be discarded. This way they can be in full control of their flavour profiles as well as limiting wastage! It’s truly cooking with a conscience. From passion projects to private events, Cue Point are on board. 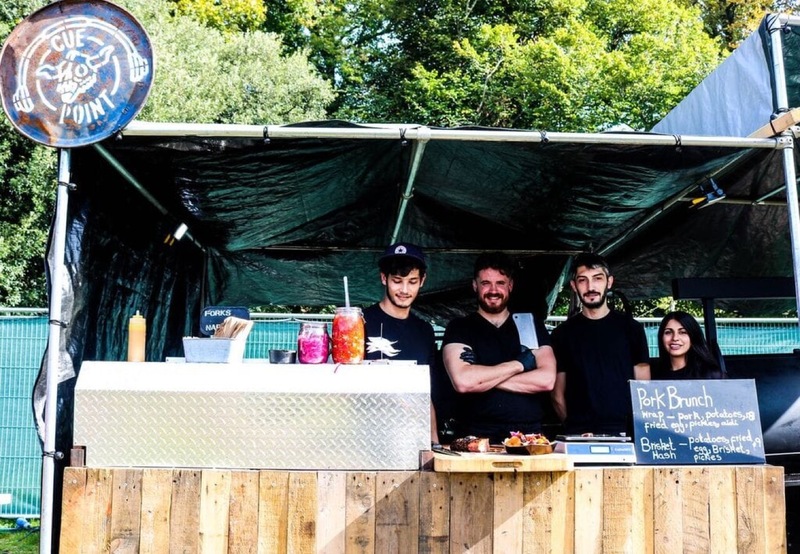 If you’d like Cue Point to come along to your event and serve you and your guests some knockout barbecue food from an awesome smoker then get in touch with them here on Feast It and they could be coming to your next event! Submit our enquiry form here to take you first step towards smokey goodness. Want to sample? 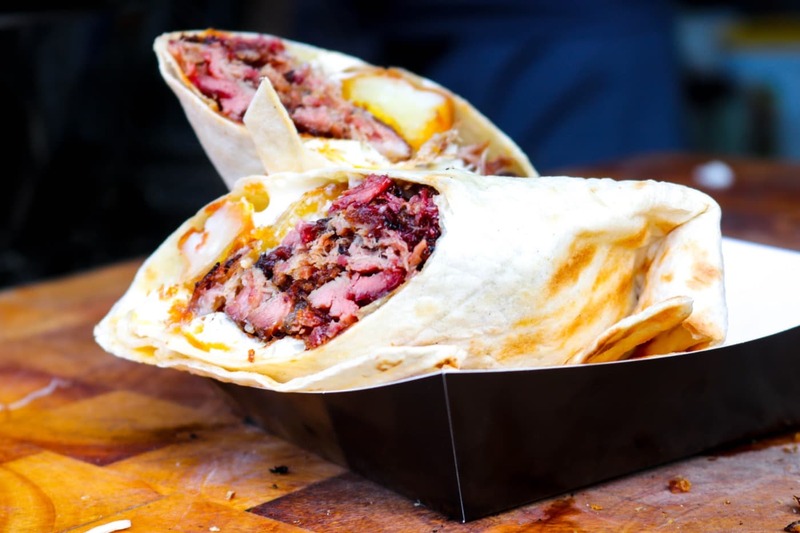 Get down to our residency at W12 Studios from now and throughout February and form an orderly BBQueue for a taste of this luxuriously meaty and delish smoked heaven!